Can Africa unlock the potential of investing for impact? 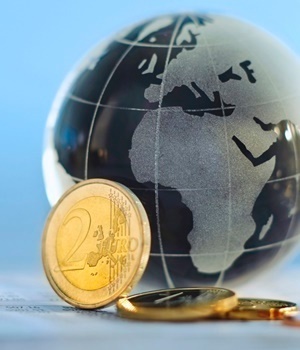 Cape Town - Africa is still a highly popular investment destination for multinational companies looking to do business with and on the continent, according to Stefano Niavas, partner and managing director at Boston Consulting Group (BCG) in South Africa. The epicentre of this intrigue is growth, he says. "The middle class and affluent segments of Africa’s population are expanding fast. In sub-Saharan Africa, what was a 7% annual growth rate from 2005 through 2015 is now accelerating to an anticipated 12% a year through 2035. Moreover, private consumption is expected to increase at 5% per annum (in real terms) to $1.25trn in 2025, within Africa’s eight largest markets," according to Niavas. As other markets mature, growth slows, and volatility rises, Africa’s consumers are widely and highly optimistic, according to BCG’s most recent Drawing a Route to Market for Multinationals report. "There are also many reasons for companies to be cautious, with the most prominent of these being complexity. Africa is anything but another emerging-market opportunity. It comprises more than 50 markets, with each of these being socially, culturally, politically, and economically unique - that span a continent the size of the US, Europe, China, India, and Japan combined," explains Niavas. "The logistics alone might be daunting, but is made even more complex when coupled with the intricacies of multiple operating models, supply chains, distribution networks, marketing strategies, as well as regulatory regimes - all in an evolving ecosystem." In order to address Africa’s complex consumer market, multinational companies should acknowledge that Africa consists of 54 unique markets – all of which have their complexities. New entrants to the market can underestimate the level of managerial, operational and financial support that distribution networks require. These are the key aspects to assessing the market, understanding the consumer, mapping the supply chain and gauging the competitive landscape, in his view. "Coming to grips with basic factors about a market such as its size, the drivers of consumer behaviour, and who buys which company’s products, can require enormous effort," says Niavas. In developed markets, multiple research organisations provide all kinds of data, but in many African markets such organisations don’t exist or, if they do, they have very different definitions of categories and products. As a result, assessments of market size and composition are highly inconsistent. In Nigeria, for example, reported rice consumption totalled 6.5 million metric tonnes in 2015. Local production accounted for about 2.5 million metric tonnes and imports for another 2.3 million, leaving a gap of some 1.7 million metric tons between the reported consumption and production figures. There are many possible explanations, including inaccurate statistics, many instances of smuggling across local borders, and irregular customs processes. It’s all but impossible to know exactly which apply and to what extent. "Infrastructure is an issue everywhere. Building quality, transportation, and electric power are problematic in many urban and most rural areas," says Niavas. "At the very least, limited and basic infrastructure requires substantial expenditures that cannot easily be passed along to less affluent consumers, and in many places underdevelopment, combined with long distances, makes it difficult or impossible to serve large rural populations cost-effectively." Take Nigeria, for example. The Nigerian national road network of more than 190 000km carries more than 90% of all freight and passengers, but fewer than 20% of the roads are paved. This adds significantly to transit times and contributes notable wear and tear to vehicles. Poor road networks also exacerbate heavy traffic, causing big delays, especially on routes to and from ports, where trucks are frequently forced to queue up overnight. "The greatest rewards, however, go hand-in-hand with the biggest risks. BCG has studied how companies, including local players as well as multinational corporations, overcome the considerable challenges that define Africa’s business environment," says Niavas. "Although there are outliers and exceptions, we found that most successful companies take the following steps in setting their routes to market." Firstly, these businesses set the level of their ambition and deciding where they want to play. Next, these companies establish the right structure and distribution plan, before choosing the right partners to help them achieve success. Finally, these organisations design a route to retailers as well as supporting in-store execution. "Taking the time to understand the continent’s individual markets, determine where to play, choose the right partners, and establish an effective structure and distribution setup can make the difference between a failed experiment and a successful long-term business in some of the world’s fastest-growing markets," says Niavas.